Staff should start the F&I process on the floor while a customer is still shopping, not in an office at the end of the sale, experts say. TORONTO — A more transparent and enticing finance and insurance sales process could make the difference between a mediocre end of the year and an impressive one, industry experts say. The industry is entering the home stretch of 2018 marked by slumping sales and rising interest rates. While selling F&I products boosts dealers’ bottom line, many customers would rather be anywhere else than the F&I office. “If there’s anything dealers shouldn’t do, it’s take a one-size-fits-all approach,” said Shannon Friesen, vice-president of dealer services for Canada Drives in Vancouver. “You need to have that good communication with the salesperson who’s dealing with the customer. “The biggest thing with our most successful dealers is that they have penetration because the F&I manager gets involved early in the process, meeting with the customers while they’re still on the showroom floor. Sandy Glover, general manager of Downtown Hyundai in Toronto, said her dealership welcomes customers’ questions about F&I products early in the sales process. Forcing customers to wait until they sit down with an F&I manager to get those questions answered could destroy trust, she said. “As soon as you do that, the whole trust factor is gone,” Glover said. 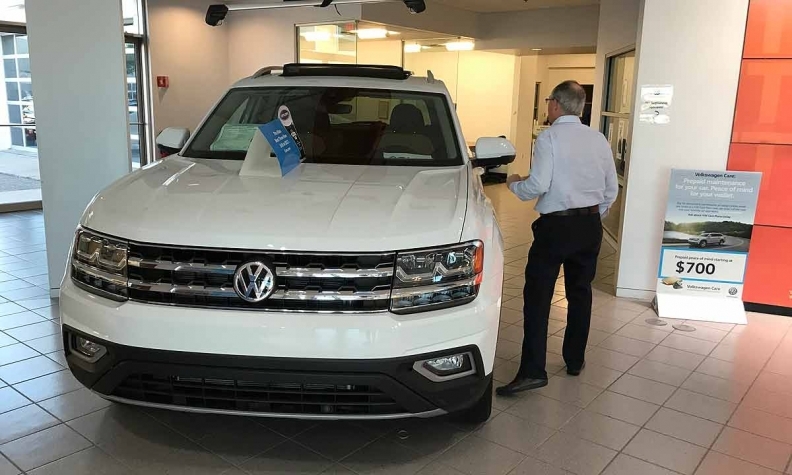 In an era where customers have researched their vehicles thoroughly before entering a dealership, traditional sales methods no longer apply, said Jeff Fallowfield, president of corporate development at LGM Financial Services in Oakville, Ont. “The ‘box’ (financial office) is something everybody wants to avoid,” Fallowfield said. “To be able to put that online and allow the customer to self-select makes them feel they’re making the decisions themselves. The role of the salesperson and the financial services manager is to review those choices with the consumer to make sure they are really going to meet their expectations. Canada Drive’s Friesen said that as rates rise, customers with strong cash flow might be encouraged to take higher payments over shorter terms, which will reduce their interest charges. “But if they’re at the top of budget, an unforeseen expense will be an issue, so talk about extended warranty,” she said. Rather than trying to maximize each deal, which drives up the cost and could make the vehicle unreachable, the finance office should aim for what works for each customer, Fallowfield said. “There has to be expectation to hit fewer home runs but a lot of singles,” he said. “We believe the way to do that is to deploy a consultative sales approach, understanding the needs and wants and then creating a package. “An easy one is if they’re leasing, don’t try to sell them an extended warranty, but perhaps they would like … an appearance product that can keep the vehicle in top condition.